The other day, I was in a discussion with some friends about the tuition rates of schools in the Lipa City area. Having retired from education in 2011, I realized that I was already out of touch with matters such as tuition rates and decided to pay the web site Find University PH a visit if just to update myself. 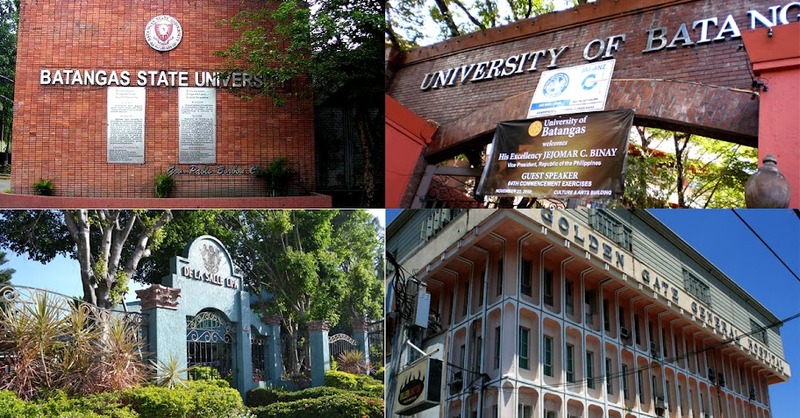 Find University PH is a comprehensive web site that provides updated information about colleges and universities around the Philippines. To collect information and keep this updated, staff of the web site by spend “thousands of hours per year” collecting data from school and government web sites and by doing online research or calling or e-mailing schools. As a disclaimer, though, Find University PH says that it “cannot ensure that all the information is accurate. Schools add and remove courses, tuition fees change often and even some colleges get closed every year.” The site does say that it does its best to keep the information updated. All things considered, the site still provides information useful for parents and students trying to assess which higher education institutions are best suited to them in a financial sense. In examining the data, there are a few things that readers ought to keep in mind. First, high tuition rates do not necessarily mean a higher quality of education as well. A link will be provided at the end of this article showing how higher education institutions in Batangas have performed in the licensure examinations in recent years. Second, schools are classified as “state” or “private.” Private schools, because they are not subsidized by government, naturally rather tend to have higher tuition rates than state or public schools. Also, Batangas State University, the Polytechnic University of the Philippines in Santo Tomas and the Philippine State College of Aeronautics inside Fernando Air Base are covered by the new Free Tuition Law. Some schools that readers may be familiar with are not included. The First Asia Institute of Arts and the Humanities in Tanauan City and Golden Gate Colleges of Batangas City come to mind. No information about either school is provided by Find University PH. The Kolehiyo ng Lungsod ng Batangas is listed, but since no rates are provided, presumably because these are fully subsidized by the local government of Batangas City, it is not included in the comparative table provided below. Here is the comparative table of tuition fees of colleges and universities in Batangas listed at Find University PH. The information is fairly straightforward and self-explanatory. All rates are annual or per year. The information contained in the table above has been taken from the web site Find University PH. To give readers a sense of perspective, below I include the same information provided by Find University PH for schools in the National Capital Region. Considering how well colleges and universities in Batangas have been doing in licensure examinations in recent years, the overwhelming conclusion at least as far as I am personally concerned is that Batangueño students now get more value for money by studying in Batangas. This is in stark contrast to just two decades ago when if one wanted quality education, one had to go to Metro Manila. This is just not true anymore. Tuition information about some schools in the NCR. To see how well Batangas colleges and universities have been doing in the licensure examinations, please read this February 2017 article also in this web site: Comparative Rankings of Batangas Colleges and Universities Based on Recent Board Exams.